In BD2 how are they going to show Bella's eyes change throughout the movie? Jack:Yes, everyone has been very detailed-oriented about Bella's eye transition! #wegetyou!! P.S. Sometimes via contact lenses, sometimes via digital visual effects. Will we see Edward's Christmas gift to Renesmee? A:I don't think so though the piano duet with Dad fills that space emotionally & she gets stuff from Mom and Jacob. I don't like this quote, "Goodbye Jacob, my brother, my son" Is it in the movie? A: Shnope, that quote is not in the movie. What are Edward and Bella like as parents? What is this scene? Do you know where I can find an email for Summit/Lionsgate? I want to make a suggestion for BD2 Promo. A: I would tweet their official handle a few times. What's your promo suggestion? A: You'll literally see through Bella's new eyes, but Jasper's scars are not among the sights in the movie. If half movies box office goes to studio does that mean only domestic gross? Is actor's pay included in the budget? A: Cast and crew pay is included in the budget, but you'll almost never read a true movie budget number in the press. Every movie's gross/net return depends on the deals between the studio and exhibitors. Sometimes half of global- sometimes not. I miss @gregyolen Anyway you can demand his presence for the next TJ podcast? A: Serving he and @erikodom up tomorrow at http://SModcast.com and iTunes - thanks for listening!! :-D TEAM JACK Episode 48: "The Assassination of @gregyolen by the Coward @erikodom "
What's up with this "new ending" for BD2? Cuz a few people are freaking out a little. A: Everyone needs to relax, cuz the last 35-45 minutes of this movie, into the closing credits, are SO. GOOD. Remember that Stephenie and Melissa conceived it then Bill developed it fully and directed it. I’m putting money down that either Demetri or Felix gets whacked at the end of BD2 because too many Cullens are gunning for them. Why is the soundtrack being released so late this time?! I'm sad because now I won't be able to listen to it while camping out! A: We love it because you should really hear all the music inside the movie. And you're cheating with all these questions?! What's the runtime for BD2? Did you hear about the girl who was denied her diploma for copying the Eclipse graduation speech? A: Well what'd she expect for plagiarism?! What kind of software did they use for editing the movies? Studying this right now. Will we see Nessie as a teen or adult? I mean in a flashforward or something? A: Yes - I think we've already seen a still of this. Does our beloved Peter have any interactions with Jasper in BD2? A: Yes he does, as described in the novel, I believe! Hi, Allison! Will there be more posters? A: I'm sure there will be a few more posters, internationally and merch. How will Bella's power be shown? Will it be invisible? A: Bella's shield is invisible to everyone around her and probably even her, but the audience sees it and it's subtle! Have we seen the Volturi wives in the new trailer? Alice and Emmet: both their back stories are in the books, why not in the movies? And have you read all the books? A: I have not read all the novels, no, and I don't know why their origin stories didn't make it into any of the first 3 but there wasn't any need or space for them in BREAKING DAWN, which we see as one long movie released in two parts. Quote Bill, "We're trying to fit that into the long version, you know, the one movie." Will there be a longer version? A: Bill never lies. ;-D See my last tweet re: one movie made from one novel. Will Jacob be jealous of Nahuel, the half vampire like Nessie? A: No, he won't be. In the book Edward shows her the house and clothes in the closet. Is this in the movie? A: Haven't we seen stills of this? There are pages devoted to it in the COMPLETE FILM ARCHIVE book that just came out. Have you heard Renesmee's lullaby or seen the scene? What do you think? A: I love it. You will, too -- it's vintage Burwell. I could tell you a secret right now...but wait 29 days! Who is the person sitting between Tanya and Benjamin in the fire still? Is it Jacob? A: Jacob, yes, I think. Does our beloved Peter have any lines in #BD2? A: Not one spoken by him, but one spoken about him...by Bella! It's in Amanda Bell's Examiner interview with him. Will Charlie hold Renesmee in his arms? Will we see her first steps? A: I think you've already seen that in a still, but no first steps, no. Is the EW cover the last scene? Does Carlisle weigh Renesmee everyday to see her growth in BD2? Will Bella see Nessie right after the hunt? A: He uses a wall chart to measure her growth, and yep she meets her right after she drinks that mountain lion! Will the movie tie in books have the new ending from the movie? A: I don't think any of the tie-ins will have stills from that, no. Favorite song in New Moon? A: "Hearing Damage" by Thom Yorke - are you following my daily musical countdown on FB? Will BD2 reference Tanya's feelings for Edward? No other film has addressed this! A: Shot during the wedding reception and will hopefully go back in at some point! Have you seen Cosmopolis? Has Bill? If yes, give us a short review please. A: Bill saw and liked both the film and Rob's performance. I haven't seen it yet - I was scuba diving when he went. Is that Stefan I spy on the right attacking the Volturi with the Cullens? Who does Bella drop kick? A: Hi, Nicole! It's real until she has it, and you haven't even seen the best shot yet! The DVD doc covers this well. Why was Renesmee's backpack red and not black? Did Rob and Kristen do that last stunt in the trailer themselves? Can you have Bill on a podcast? A: Yes they did and no he would never sit for that. I'll get McKellen on before I get Bill. A: The Voturi necklace gift is still in the theatrical cut, I think. Is the ending of the movie totally different than the book? Looks that way in the trailer, but its just a trailer. A: 29 days 'til you know! Why are the trailers showing so much of Kate and Garrett? A: I think that's just random, honestly. A: Benjamin -- and a combination of real water and digital visual effects. Do you have any idea why Bella emerges from the woods alone? Looks like the cliff from NM, new scene? A: I'm not sure which shot you're referring to, but Edward's always with her on the hunt and yes, completely different locale. Curious if anyone noticed that it is Benjamin who punches the ice in BD trailer? Is that correct? A: Correct! Good eye! I would do - and did do - the same frame-by-frame with BSG, which is my fandom. Is the Score from the trailer, specifically the fight scene, going to be in the movie? A: It's all going to be in the movie! Wait, sorry - the score isn't, I don't think. will we see Bella's Ferari in BD2? I'm playing a trivia game with friends. Can you give me any info on BD2 that isn't well known? I think fans are ok with enhancing the end, but not a completely different ending. A: You'll see, you'll see...trust in Bill. How are the effects for Kate's spark and the ice punch done? A: That subject has never once come up. A: It's legit merch, yeah. I don't know if you know but is registration only for US and UK will be just usual routine? A: I've no idea, sorry. Volturi fans are waiting for their poster yet! A: The international styles and battlefield panorama are full of Volturi! Have you seen The Perks Of Being a Wallflower? Perhaps you and the team can discuss it next podcast? A: Hafta see it first! A: "Such a clever girl." Will we see Bella's birthday in BD2? Will she be gifted with the key to the cottage? A: 29 days and counting! 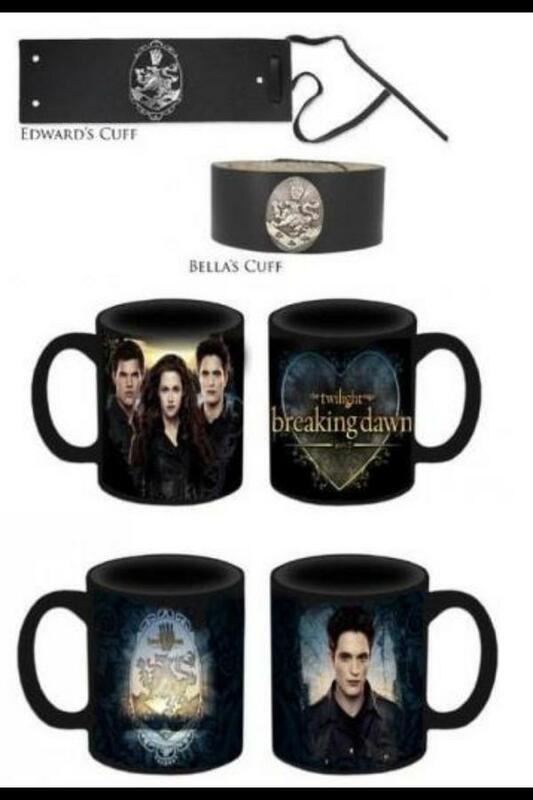 Is BD2 rated yet? Is it true the soundtrack isn't coming out until Nov 13? A: BD2 is rated PG-13 and yeah that soundtrack release date is accurate. A: Which country are you in? I'm only flying for London. In The Complete Film Archives there's a still with Bella, Jacob and Billy looking older. Is it from BD2 or not? Posted on October 17, 2012 by alec vanderboom.